There's so many things you can read/do on the Internet, but sometimes you get stuck in a rut of going on the same websites, the same apps on your phone day after day. I'm talking about you Instagram, Pinterest and Facebook! As much as I love them, I love exploring what else the app store/Internet has to offer. I may be a bit late on the bandwagon with this one, but Hootsuite is a blogger friendly app. If you're anything like me and find it difficult to keep up with all your social media as a blogger - this is your saving Grace. You can link your Twitter, Facebook and LinkedIn accounts and have all the notifications in one simple app. I only linked my Twitter and Facebook Page in this nifty app! As a blogger, you want to try and be active on as many Social Media Platforms as possible, this app basically allows you to send out a tweet and Facebook status all in one go if you're tied for time. Vinted is basically an app where you can buy and sell clothes, only girls' clothes, sorry guys! If you're looking to sell your clothes, this is the place to go! It tells you exactly what your profit will be after fee deductions and how much to charge for P&P. I've had terrible experiences with eBay selling, but love buying on there!It is another one of my great discoveries thanks to Niomi on YouTube (please tell me I sent you to her YouTube page if you go and check her out or already know her! :-) ) In her YouTube video, she was saying how she bought branded (e.g. TopShop, River Island, Zara etc) clothes for a fraction of the price. I haven't bought anything on there before but I have a small collection of clothes to sell if you want to check out my profile here. I found out about this website whilst reading the Metro actually. It's another one of those websites where there's just so much to read - basically everything a girl would want to read! Varying from fashion & beauty to careers and things to do. It's easy to get stuck in a rut, going to the same bars and restaurants so it's nice to get some inspiration and ideas on where to go in London. You can also sign up to a daily newsletter that gets sent to your email - handy for reading on the train. Last but not least, my friend recommended me to download this photo app where you can select photos from your phone and ask for them to be printed and sent to you. Do you know what the best thing is? The first 10 prints are completely free of charge - you have nothing to lose! And you get 45 free prints every month and all you have to pay for is postage which is only around £2. Are you sold yet? I've just ordered my 10 free prints so will update you on Twitter with how I get on with them. In this day and age, everyone has their photos stored on their phone or in digital format, and rarely do you go through them properly and reminisce back like we used to with our thick photo albums. I think this would be a good way to reflect back on the year. 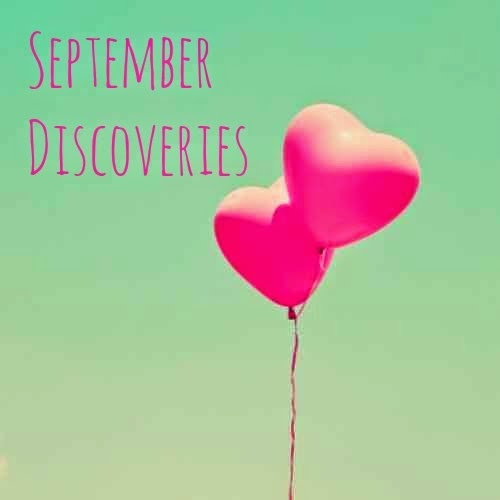 Will you be trying any of my favourite discoveries this month?